HomeNews & Social MediaSanya NewsBinglanggu selected as practice base by Geography Institute of Heidelberg Uni. Binglanggu selected as practice base by Geography Institute of Heidelberg Uni. Binglanggu Valley is selected as a practice base by the Institute of Geography of Heidelberg University. The Li and Miao Ecological Cultural Tourism Area of Ganza Ridge Areca Valley (Binglanggu Valley for short) at Baoting County has been selected as the practice base by the Geography Institute of Heidelberg University. The ceremony was held on the morning of Feb 28, 2013. 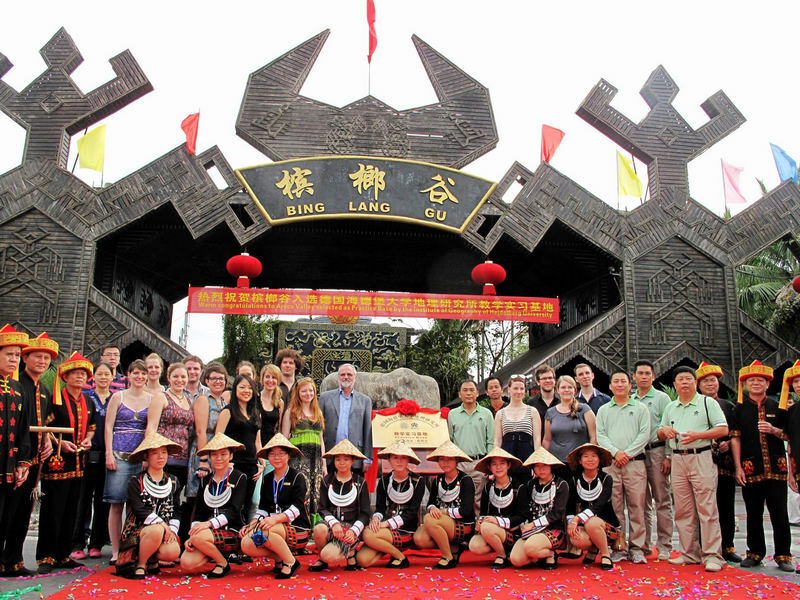 Speaking regarding the reason for the selection, the principal of Heidelberg University said Binglanggu Valley is more typical than other scenic spots in carrying on and promoting the Li and Miao culture. 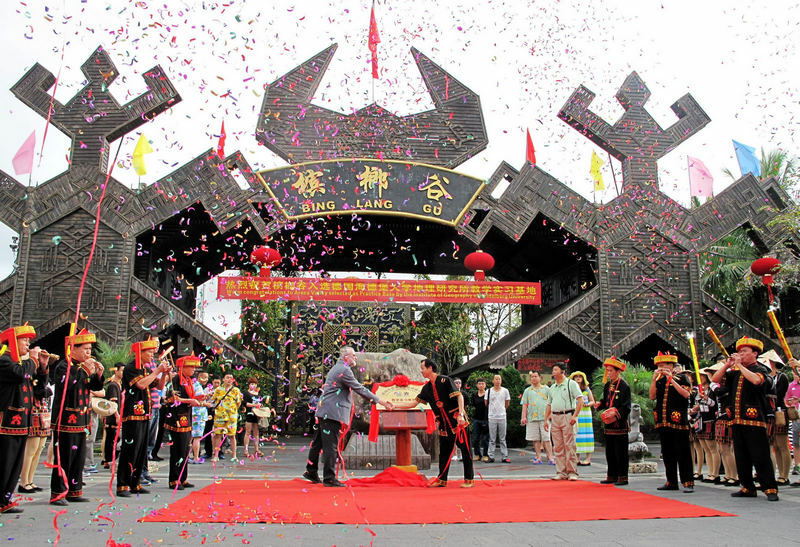 “We are deeply attracted by the unique buildings of the Li minority culture, the old, tattooed local women and the traditional bamboo dance they have shown to us”, he added. The university will assist by using their international academic research influence to promote the scenic spot on a larger stage and also arrange for students to develop a long-term cooperation and enhance communication between the students and staff from both sides. The activity will last for 4 days. And the 19 teachers and students will visit Baicha Village and Echa Village in Dongfang City for further cultural exchange and communication.